A screen shot from the Connecticut Land Conservation Council’s website. 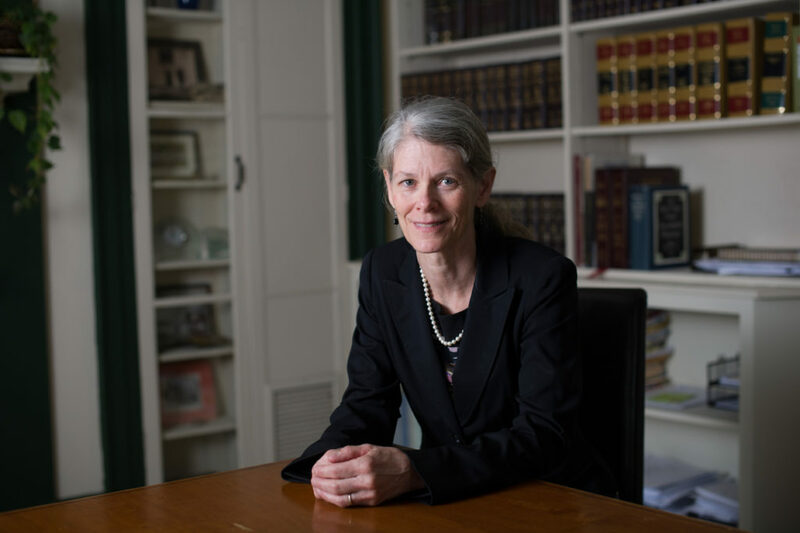 Cramer & Anderson Partner Dolores R. “Lorry” Schiesel was a panelist for a “lightning round” discussion entitled Municipal Issues Impacting Land Conservation and Land Trusts at the Connecticut Land Conservation Conference held March 23 at Wesleyan University. Issues on the agenda for the lightning round included: defining/prioritizing open space; acquisition/stewardship funding; legal/statutory mechanisms for conserving land in perpetuity; land management; zoning (including affordable housing) and tax assessments; and building community connections with the land. One issue that came up was the process of towns and cities creating and updating a municipal Plan of Conservation and Development. “One of the take-aways,” Attorney Schiesel said, “is that the POCD is not something you just do to satisfy state law. It is a living, breathing document.” She said there was panelist consensus that the more it comes off the shelf, the more effective it is for every town. Joining Attorney Schiesel on the panel that discussed healthy use of land, including encouraging passive recreation, and coordination between towns and land trusts, were: Margot Burns, Environmental Planner, Lower CT River COG; Jennifer S. Kaufman, AICP, Environmental Planner, Inland Wetlands Agent, Town of Mansfield; Barton Jones, President, Cornwall Conservation Trust; Amy Blaymore Paterson, Executive Director, Connecticut Land Conservation Council; Denise Savageau, Environmental Consultant, President, Connecticut Association of Conservation Districts, and Lynn Stoddard, Director, Institute for Sustainable Energy. 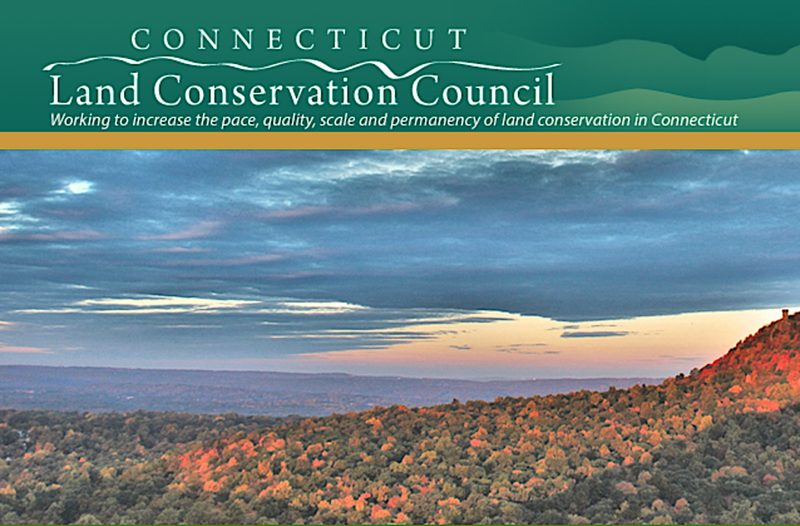 U.S. Sen. Richard Blumenthal made an appearance at the Connecticut Land Conservation Counsel’s 35th annual conference, which was attended by approximately 500 and featured a full day of educational workshops and networking for all those interested in land conservation, followed by a reception. The Freedom of Information Act came up often, in terms of questions from the audience. 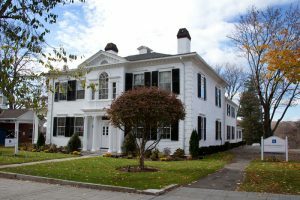 “Towns are used to having public discussions, but land trusts aren’t used to it,” Attorney Schiesel explained. The panel talked about ways to be candid with municipal and land trust constituents. Another topic of focus was the cost to a municipality of a subdivision lot vs. the cost of an open space lot. “It does mean fewer children in your school but it doesn’t cost as much,” Attorney Schiesel said of the open space lot. Especially interesting were discussions about the relationship between affordable housing and open space, and land preservation and solar energy. “Green energy can work in a town. You just have to find the right place,” said Attorney Schiesel, who was impressed by the comments from fellow panelist Lynn Stoddard, Director of the Institute for Sustainable Energy at Eastern Connecticut State University. Overall, Attorney Schiesel said, “At a statewide conference, I was struck by just how different the towns are. Land conservation means something very, very different in Bridgeport than in Kent, and as always, there’s no one size that fits all.” She appreciated CLCC’s effort to get all the land trusts in one room. Cramer & Anderson Partner Lorry Schiesel, the Resident Partner in the firm’s Kent office. Attorney Schiesel is the Resident Partner in Cramer & Anderson’s Kent office and brings a wealth of combined municipal and legal experience to a practice that extends from Municipal Law, Real Estate Law and Land Use & Environmental Law to Business Law and Elder Law & Special Needs. She is also Town Attorney for Bridgewater and serves as Kent’s Town Attorney, in conjunction with Cramer & Anderson Partner Randy DiBella. She also represents New Milford’s Water Pollution Control Authority (WPCA), Sharon Sewer and Water Commission, and represents area land trusts engaged in land preservation initiatives and handles conservation easements for private donors.